To stay ahead in an increasingly competitive world, process manufacturers are continually challenged to increase efficiency and throughput. Process manufacturers who are seeking to optimize their operations are driving their productivity by leveraging technological innovations. 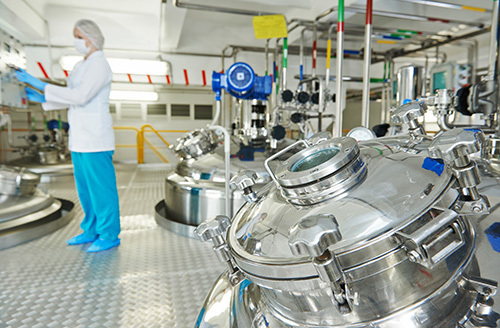 Investing in new process control technologies can improve your control over complex, interactive processes, while providing increased access to plant floor visualization and control. By incorporating a connected enterprise, you provide availability of actionable data which can be leveraged to streamline your operations. We have process experience in a number of industries, utilizing a variety of platforms. We firmly believe that developing a complete understanding your processes and equipment, as well as your challenges and goals, is critical to success. We first work with you to design and develop a complete and detailed process definition, and then we apply our automation experience and offer solutions that control, monitor, analyze, and integrate your systems. Our solutions help you to increase efficiency and reduce costs, optimize your operations, and provide seamless integration of all your systems. Our relationships and partnership with industry-leading partners allow us to draw on their strengths and couple that with our experience and capabilities to help implement a strategy that works for you. Below are case studies detailing the automated solutions we've recently provided to our clients. Let McEnery Automation provide you with a streamlined approach to increase production, enhance product quality and maximize your business operations from plant floor all the way to the top. Contact us today to get started.